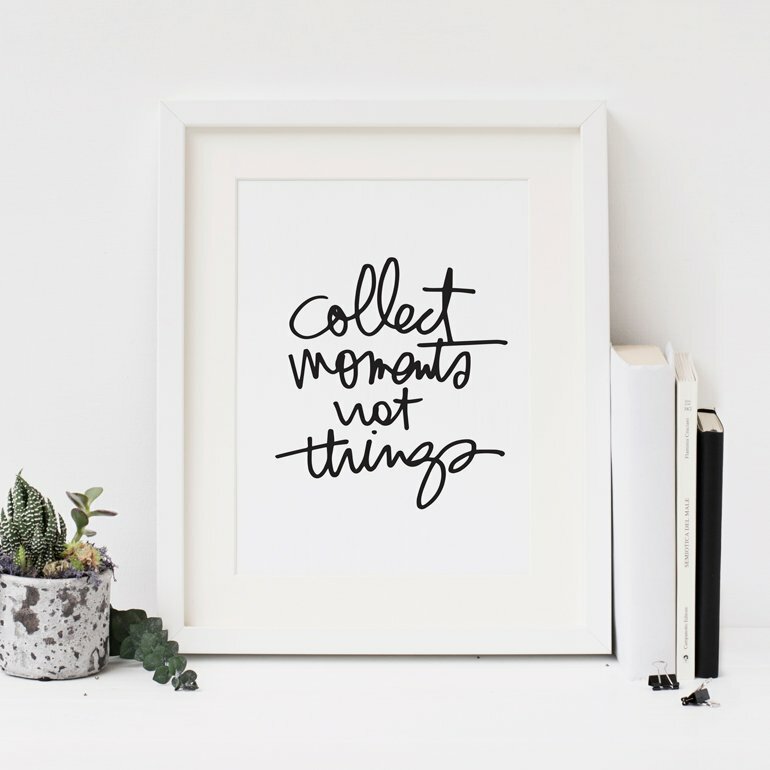 Ali Edwards Design Inc. | Blog: What Stories Will You Tell? I've been thinking a whole heck of a lot lately about words. It's not really something new, but something that keeps popping up as I work through current projects, plan future ones, and think about what matters most to me. With Week In The Life™ coming up in the next couple of weeks I thought this would be a good time for a little pep-talk when it comes to including actual words in your projects. Last year one of my main Week In The Life™ goals was to simply include more words. I did just that (mainly by making time at the end of each day to write it all out in the form of a blog post) and I love, love, love the result. I'm planning to include that same emphasis on the words again this year. I remember, many years ago, teaching a class to scrapbook retailers at a trade show. The whole "meat" of my presentation was that we, as people working in this scrapbooking/memory keeping industry, need to not only teach people how to work with the products, we need to teach them how to tell stories with words. Writing your stories transcends products. It transcends trends. It's an activity that lives on long beyond foam stamps (still love) and mists and stickers and layout sizes and owls and pineapples. 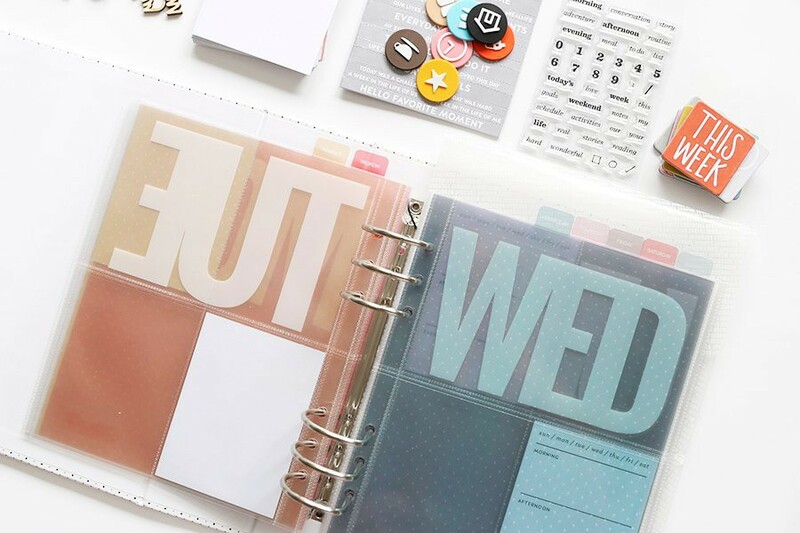 You can add words to scrapbook layouts whether you use a ton of product or just a little, whether you use Project Life® or traditional layouts or digital pages or an art journal. There is room for words on your projects. I think most of us scrapbook because we have something to say and something to celebrate and something to learn about ourselves in the process. We say it through our photos, through the products we select, through the way we craft stuff together, and through the words we choose. The thing about writing is it doesn't have to be perfect. Repeat that to yourself again and again. It doesn't have to be grammatically correct. It doesn't have to happen in paragraphs. It simply needs to come from your heart. Tell me more. Tell me the reason why. Tell my why this photo is meaningful to you. Tell me something I can't know by looking at the photos. Tell me why you are taking the time to record this moment, this day, this period of time, this photo. Tell me what and who you're thankful for and who makes you laugh best of all. Sometimes it might be messy and sometimes it might be pointed and sharp. Sometimes it's conversational and easy. Sometimes it's super clear and other times we might need to work through it a couple times to make our intentions clear. Sometimes it's a list of words, or paragraphs or a single word that encapsulates the whole thing. I think we're often afraid to put those words down because they are the most personal piece of the combination of elements. We fear judgement, we fear getting it wrong, we fear it not mattering. We leave it to the last thing in our process of memory keeping and then don't do it at all. Write how you feel. Write what you love. Write what you see. Write what you hear. Write how you've changed and write how you're still the same. Write about that juicy piece of fruit and Thanksgiving and that awesome bargain you got yesterday. Write about what hurts and what heals. Write using that awesome combination I talk about again and again of both facts & feelings. As most of you know, I'm someone who includes both long and short stories in my memory keeping adventures. It's just what I do. But I've also been practicing and embracing and working to simplify and get to the heart of the matter for a long time. I like the balance of the two because sometimes I want to tell a long story and other times I just want to add a bit more beyond what you might see in the photo. Truth be told, it's the longer stories paired with a photo or two and an embellishment or two that captivate me most and give me the most long-term happiness. All that my friends, to encourage you to include a few more words in your projects. Put the words first. Think about your Grandparents or parents or someone you love and imagine what you wish you knew about one week in their lives. Let those details guide you in telling your own story today. Start with an extra sentence or sentiment here and there. Add a list next time. Start with some facts and then add some feelings. For Week In The Life™, tell me the mundane stuff and the stuff that makes your life your life. Thank you Ali for the encouragement to write. I think often of my grandmother and what I would like to ask her about her life and how she handled all the stuff that is life (she died when I was twelve). And I often ask my parents in depth questions about their life now or their life as a child. How they have dealt with difficulties AND successes. These are important stories and family histories that we are losing generation by generation. I just had a conversation with a women who told me she stopped scrapbooking because her son grew up, and I was baffled. My scrapbooks are not only of my children, they are of my husband and I as well. Our stories need to be told as well. My struggles and successes may help my children some day with some of their own, and some are just stories they will love to read long after I am gone. Documenting the lives of ourselves and the people we love just reminds us that we aren't alone in this life, and if my child can benefit from something I have gone through then it is all worth it. I love this life and am so happy documenting it. Thanks again Ali! Perfect. That last paragraph, oh yes! If only I knew what she thought and felt. I bet we would have had so many things in common and I bet I would have been brought up sharp by something I didn't know or didn't feel the same way about and how great would that be. I have been feeling a bit overwhelmed at the thought of doing it again as I still haven't finished scrapping that last one. But I pulled the album out and the only bit that isn't done is the final scrappy touches and of course, they don't matter a bit. I would love it if a future grandchild picked it up and got a flavour of the real us in 2015. Thanks as always Ali, thankful for you! Simply lovely your authentic and consistent approach to our memories. I'm a fan of your vision. Thanks for this words! 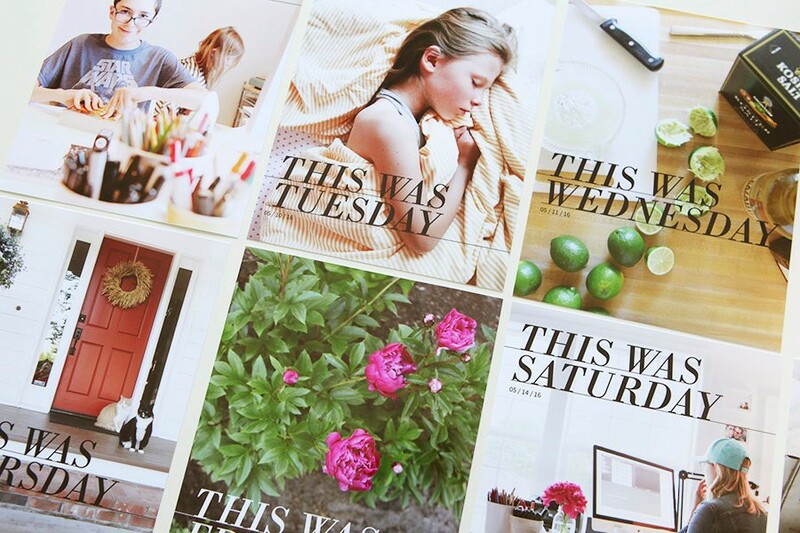 Ali, I love this post and that you encourage words and stories and not just scrapbooking ideas. (I also love what jdm9 said above). I found a photo of my Grandparents' house on my roll of film and mentioned it to my Grandpa in a phone conversation a few days ago. He told me how long they've owned their house and how much they purchased it for and how much him and my Grandma made at the time they bought it. It was my Grandma's birthday when I had this phone conversation with him. She passed away last year and this was the best birthday gift I could give to her. A good conversation with my Grandpa. Anyways, this reminded me of things I want to document for my future children. Becuase I never knew this and it's such an important story becuase their house has so much symbolism in my life. Thank you for also encouraging this type of documenting. It makes my soul feel so good! When I'm stuck for words (and I know I will be at some point during the week of 8/17), I'm going to come back to this post and re-read it. It'll give me the inspiration I need to record the mundane, the little things, my thoughts, my feelings and just the everyday things I forget about until you squeeze them out of me with posts like this. Thank you Ali. This is exactly what I needed. I'm seriously so glad I found you a few years ago. I love writing (and reading!) the whys...I love the stories. The main story, the back story, the side story - all stories. Thanks for encouraging us to tell them! Think on these things and act; have courage (my OLW 2015). You are for a long time and you will be for a long time too the most inspiring person in this industy. You keep me on track with what I want the most in my Scrapbook ! I want my children to have all this big and little memories of our lives !! Because I'd love to have them from my parents and grand parents !!! Now, I have to make time to write all this memories I want to capture !!! Thanks for such a great post! One of my goals has been to write more and to be more brave in writing exactly what I am feeling/thinking. I wish so much that I had a scrapbook or journal or anything written from my grandmother-she was such a neat person I would have loved to read what she was thinking or doing. I treasure anything with her handwriting on it. Documenting our own stories and histories matters :). Well, one thing I'm certainly thankful for is your voice and influence in my Life Documenting journey. You have through this blog, guided me to tell far more meaningful stories than just photo's (and even there you've changed the way I look at things), and products. Can't imagine what my storytelling would have looked like without it. And still there's more to learn. Yeah! Thanks so much for always being so inspiring, Ali! This is my first ever WITL & I am so excited to get started!!! This inspired me to write a bit and make a layout today as well. I've never done WITL, but I took 31 Things and Hello Story and they were both incredible sources of inspiration for documenting my stories! Thank you for that! Such inspiring words. I might just join in it is such a lovely project but I have missed the last couple because I'm doing Project Life too and thought it would overlap too much. But I shall give it a go. Thanks again for a great post today. Love this. I too am a lover of the stories. When I Am able to write from the heart the words just flow. My dad passed away 24 years ago when I was just 21. I wish so much that there was more I knew... I wish I knew more of HIS story. HIS feelings. How he felt when he became a dad. Words offer so much more. 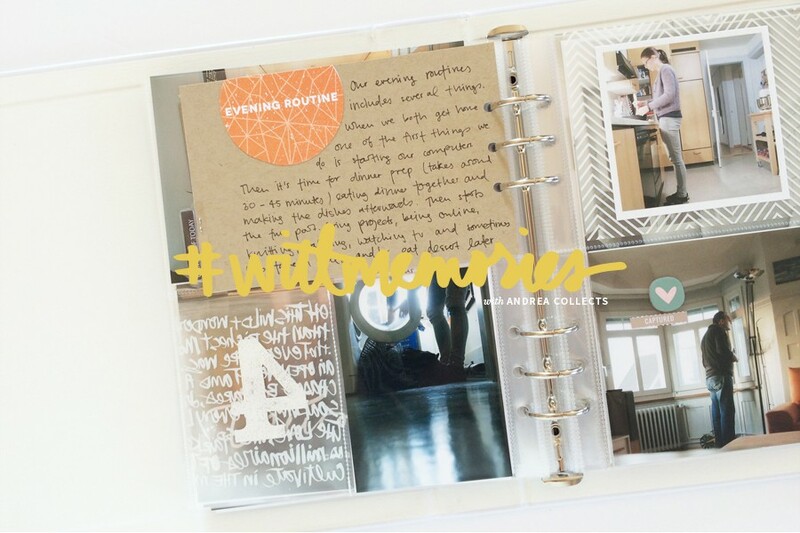 Focusing on the Pictures and words truly simplifies the process of memorykeeping for me. Thank you Ali. I will read this again and again when I need a little push to just write it down. Love what you have to say. Well said is an understatement! Thank you! I just finished a book about my parents and grandparents where I focused on their personalities and the time they have spent with my little boy and their stories. I was almost 1 year and a half working and putting it on-hold, working and putting it on-hold.... Once I finished I'm so glad I have focused in the words, I think I cried with every paragraph I wrote but it was just gratitude all the way long in remembering each story and what I've learned from them. Thanks Ali for encouraging us to write words, focusing in what matters. Love this post! So inspiring! I've actually put it into a 6x8 size format and added the "what stories will you tell" from the digital set as a background and I'm planning on printing it to include in this year's WITL album. Definitely words to remember. Thanks, Ali! Your posts are always so inspiring. As someone who struggles between the desire to tell my story and the feeling that my story is not "good enough" to tell, your encouragement to embrace your life as it is at the moment is truly moving. Ali, it's almost as if you can see into our minds. All the reasons you listed about why we don't write is bang-on, at least for me. And the part about leaving it till later and then never doing it is like painting a room and saying you'll do the trim later.....do you know how many rooms still have unfinished trim???? I am going to make a conscientious effort to do better at this. I do have a fear of putting anything really personal down in writing. I do fear judgment plus giving away personal pieces about me for people to see. Your paragraph on that really hit home. Has given me food for thought. Thanks for saying all that. Made me sad I haven't done more writing. But as with everything. Baby steps I guess. 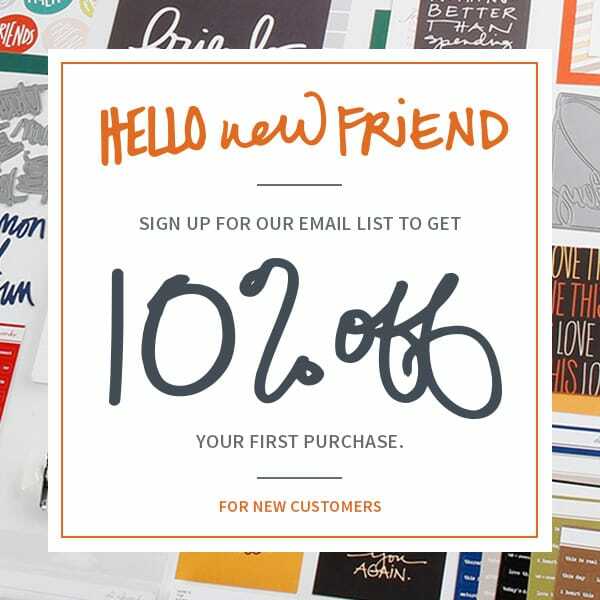 Wish I'd known about you sooner when I first started project life. thanks for this post. I'm going to try to step out of my comfort zone! !